Hopes are high for President Trump to strike a “grand deal” with Kim Jong-un in Singapore next week to denuclearize North Korea, but neither CVID (complete, verifiable, irreversible denuclearization) nor CVIG (complete, verifiable, irreversible guarantee of North Korea's security) has much chance of becoming a reality. 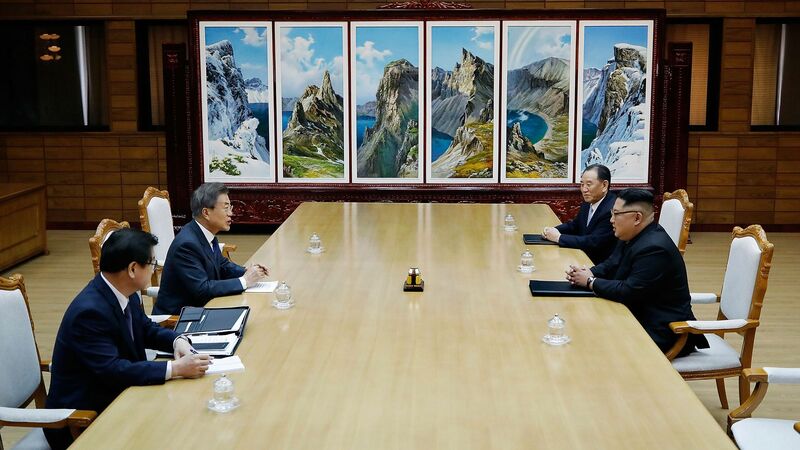 Between the lines: Both leaders will be tempted to paint the meeting as a success, but real challenges will attend any post-summit discussion of the logistics of North Korea's denuclearization. The Trump team is unlikely to abandon its CVID goal, which Kim's team will oppose for fear of following in the footsteps of Libya, Iraq or Ukraine. North Korea has reportedly demanded a CVIG for the current regime, but even if the U.S. were willing to grant it in exchange for CVID, there is a great risk such a deal would fall through after the summit. Why, then, should we bother playing this game with North Korea again? There's still a window of opportunity to guide it into the international community through diplomatic communication, exchange and engagement. Recent summits, all occurring within the parameters of conventional “state-to-state” relationships, have revealed North Korea's desire to be seen as a normal state. The desire may be insincere and ill-intentioned, but we should nonetheless continue to allow North Korea and Kim to experience international diplomacy firsthand. The big picture: By focusing solely on denuclearization, we risk losing sight of the bigger, more important aim: to transform North Korea into a normal state that no longer sees the need to nuclearize for deterrence, survival or any other reason. After all, a normal North Korea can achieve CVID, but CVID cannot achieve a normal North Korea.